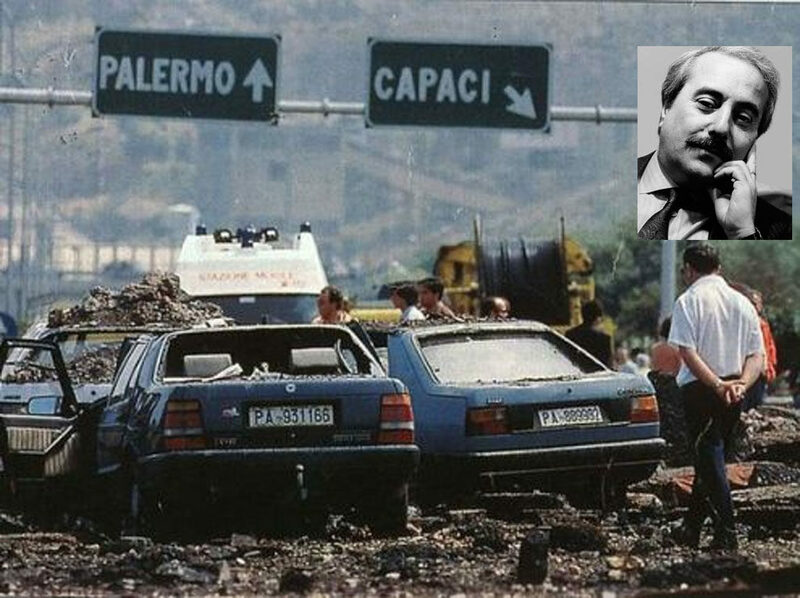 The anti-mafia prosecutor Giovanni Falcone was killed at the age of 53, in a car bomb just over 25 years ago in Palermo. 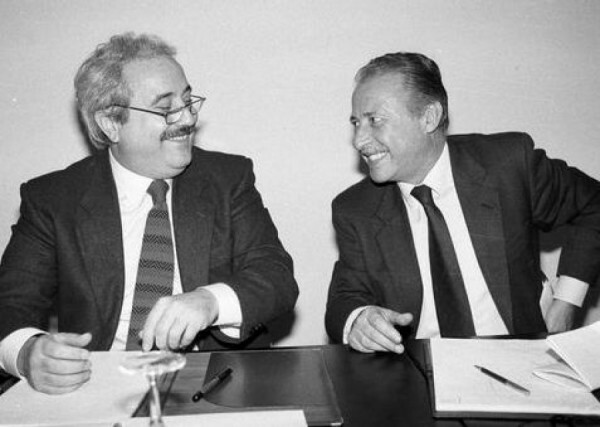 The judge spent most of his life fighting the Italian Mafia alongside Paolo Borsellino who would go on to die just a few months later on 19th July 1992. Both fell victim to Mafia that year, both at the hands of Sicilian godfather Toto Riina. Riina wanted the assassination of Falcone to take place on the A29 coastal motorway, in a way to demonstrate how powerful the Mafia in Sicily was. A revenge plot for the Maxi trials that damaged the Mafia’s prestige. Falcone drove down the A29 to get from the airport, to his home, on a weekly basis. On 23rd May, half a ton of explosives were hidden in a culvert, under the motorway. Falcone, his wife and three police officers were instantly killed from the blast that shook the area. So strong was the blast, it registered on earthquake monitors. A marble statue was later created by sculptor Tommaso Geraci and positioned outside a school in Palermo’s impoverished Zen neighborhood. A school that was named Falcone-Borsellino in honor of the two judges. On Monday the statue’s head and part of its torso were broken off. 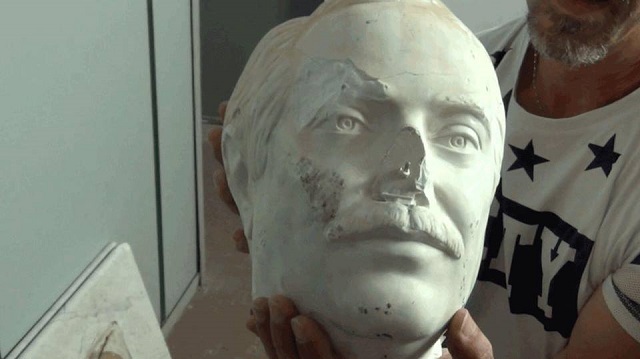 The statue’s head was then rammed against the wall of the Falcone-Borsellino, which it stood outside, causing further damage to the nose and eye area.